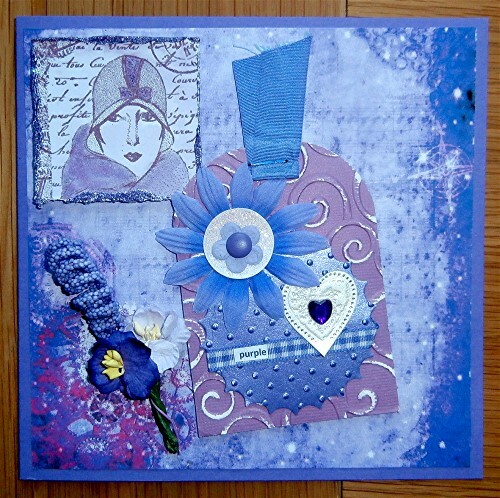 This is my design card for A bit more time to craft EXTRA February challenge: anything goes. Please click on the link to see the lovely designs of the rest of the team and we hope you will join in our challenge. For my card I used one of Lozzy's thistle papers - you can see Lozzy's lovely papers here - so many delightful papers - and you have the chance to win some by entering the challenge. I added a 'twinchie' that I made some years ago (took part in a swap and kept one for myself), using the beautiful Hero Arts gracious lady stamp. The tag was from another swap years ago, when I made one to keep for myself, using various elements including the embossed swirls and spots. I've added some gorgeous flowers that I received from Lozzy some time back. Gorgeous make great colour Thank you for sharing with us over here today at the Classic Open Design Team Challenge and best of luck with your entry. Great tag! Thank you for sharing your creation with us @ Incy Wincy Designs Tag Challenge. Good luck!-Maria Giselle B. Beautiful. Thanks for joining us at Craftaholics R Us. Wonderful tag ! Just love this colours blue and violet ! Aw, this is SO cute. I love the image, Thanks so much for sharing with us. This looks fantastic Hazel. Love all the different elements! 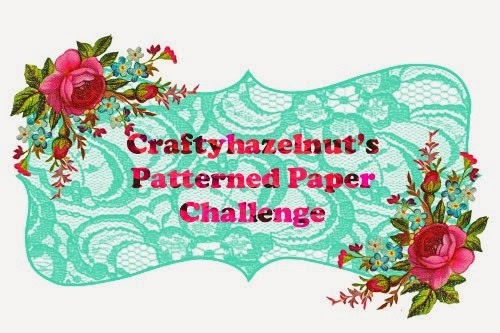 So nice to have you play along in my Papercrafters linky party! What an elegant twinchie! the color really unifies the piece. Thanks for joining us at the HeARTful Stamping Challenge! Beautiful card and your color choices are fabulous! Thank you for entering your card into the Anything Goes challenge at One Crazy Stamper and good luck! An adorable image and lovely details.